As expected The Pokémon Company took the opportunity to unveil yet more details for Pokémon Sun and Moon this week. It was an exciting set of reveals, as it included the final evolutions for the three starters, a look at Guardian Pokémon for the Alola region, along with 'The Battle Tree' and some potentially awesome Gen I throwbacks. As always we thought we'd gather the latest information from the official website in one place, including the latest trailer. If you're trying to avoid information like this then stop reading now. Otherwise, keep going for plenty of art and details. Then battle together in a Multi Battle! 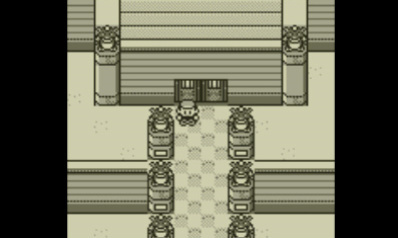 In the regions that have served as the setting for your adventures in the Pokémon series so far, the ultimate stage for battle has always been a place called the Pokémon League. The Pokémon League is where the Elite Four—four Pokémon Trainers with powerful Pokémon partners—and the Champion, who reigns as the top of all Trainers, await challengers. A challenger who defeats the Elite Four and the Champion will be hailed as the new Champion of the Pokémon League. 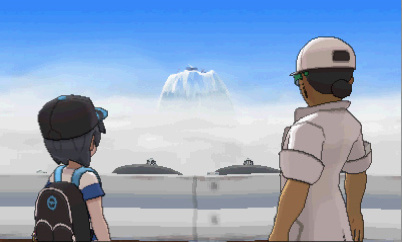 In the Alola region, the setting of Pokémon Sun and Pokémon Moon, there is no Pokémon League yet—but it seems that there are plans to construct one on the peak of a certain mountain. 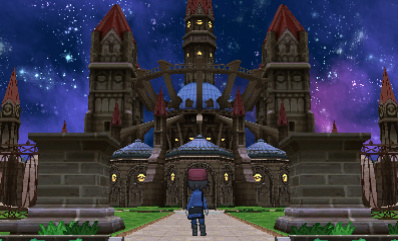 After the growth you achieve through completing the island challenge, will the day come when you also take on the Pokémon League to become the strongest Pokémon Trainer? Tapu Bulu has the power to manipulate vegetation and cause it to grow. It can use this power on its own horns—which are made of wood—changing their shape or making them larger. This can come in handy in battle! This stolid Pokémon is not very active. People's opinions differ on whether it's as docile as it seems, or if the reason it doesn't move much can be chalked up to simple laziness. Tapu Bulu does not like unnecessary battles or frightening other Pokémon. Because of this, it makes a loud ringing noise with its tail to alert those nearby of its presence. Although Tapu Bulu may not like to start battles, it shows no mercy when dealing with evildoers. It's said that when thieves once broke into its ruins, it punished them by swinging trees around like massive clubs. Tapu Bulu can learn Nature's Madness, an attack that slams a target with all of nature's rage, which reduces the target's HP by half. Tapu Bulu's Ability is Grassy Surge, an Ability that no Pokémon has previously had. With Grassy Surge, the field will be turned into Grassy Terrain when Tapu Bulu appears in battle, boosting the power of any Grass-type moves used by Pokémon on the ground and restoring a bit of HP to them each turn. It also halves the damage taken from the moves Earthquake, Magnitude, and Bulldoze. Tapu Lele scatters glowing scales that physically affect others—providing stimulation to their bodies and healing their illnesses or injuries. But these scales can be dangerous as well, because a body can't withstand the changes brought about by contact with too many scales at the same time. It will scatter its scales over humans and Pokémon for its own enjoyment; while it is innocent in one sense, there is also cruelty in the way it casually brings others to ruin. If Tapu Lele doesn't have much energy stored in its shell, it may lack the strength to seize victory in a head-on battle. With this in mind, it tends to prioritize not losing a battle over actually beating a foe, and it's skilled at strategies such as inflicting status conditions on opponents. Nature's Madness slams a target with all of nature's rage, reducing the target's HP by half. Psychic Terrain is a move that no Pokémon was previously able to learn, and using it will boost the power of any Psychic-type moves used by Pokémon on the ground and prevent them from being hit by priority moves. Tapu Lele's Ability is Psychic Surge, an Ability that no Pokémon has previously had. With Psychic Surge, the field will be turned into Psychic Terrain when Tapu Lele appears in battle, boosting the power of any Psychic-type moves used by Pokémon on the ground and preventing them from being hit by priority moves. This Pokémon is able to create a special water that purifies both mind and body. But Tapu Fini requires that supplicants wishing to obtain the purifying water demonstrate the strength to withstand the tapu's fog. Many humans have tried to withstand Tapu Fini's fogs in pursuit of its purifying water. Among them were some with evil intentions, which may be the reason for Tapu Fini's sense of disgust and lack of interest in appearing to people. Tapu Fini is able to attack by manipulating water. Since it hates to risk harm to itself during battle, it prefers to create a thick fog that puts opponents in a trance and leads them to destroy themselves. Tapu Fini's expression remains listless even when it's unleashing moves. Some people say that it might look this way because using its moves is so exhausting. The Pokémon's Nature's Madness attack slams a target with all of nature's rage, reducing the target's HP by half. Tapu Fini's Ability is Misty Surge, an Ability that no Pokémon has previously had. With Misty Surge, the field will be turned into Misty Terrain when Tapu Fini appears in battle, halving the damage taken by Pokémon on the ground from Dragon-type moves and preventing them from being afflicted with status conditions or confusion. This extremely rare Pokémon is known to only a select few in Alola. At one time, it was known only by the kings of Alola and their heirs, and it was called "the child of the stars." The Aether Foundation is researching this unusual Pokémon, and one of the professors at the foundation recently dubbed it Cosmog. Its gaseous body is so lightweight that it's sent flying when the wind blows. When light falls on this Pokémon, Cosmog absorbs it and grows. Persian is highly intelligent, with an even higher opinion of itself. In general, it looks down on everything other than itself. It doesn't tend to grow attached to its Trainer, either, so it's a difficult Pokémon to have as a partner in battle. It usually puts on a refined act, but once a battle begins, it will indulge in the most underhanded of tactics, including surprise attacks, trickery, and even foul play. Yet its haughty personality causes it to underestimate its opponents, and it's often taken in by their counterattacks. 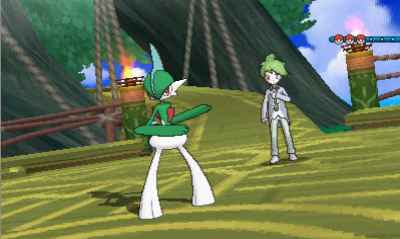 Spirit Shackle is a Ghost-type physical move that only Decidueye can learn. An opponent hit with this move will become unable to flee from battle or switch out for an ally. As its fighting spirit increases, the flames that Incineroar produces within its body burst from its navel and waistline. Since the flames somewhat resemble a championship belt, they're known as its "flame belt," and the Pokémon unleashes moves that use flames from it. In the heat of battle, Incineroar shows no concern for its opponents—and sometimes even launches attacks that strike the opposing Trainer! As a result, many tend to dislike this Pokémon and keep it at a distance. If a crowd watching it battle is pumped up, Incineroar's fighting spirit will burn brighter. But a lackluster crowd can make it lose focus or fight shoddily. When it receives the admiration of young Pokémon and children, it may keep up its cold attitude on the outside, but in its heart of hearts, Incineroar is immensely happy. It loses the desire to fight when faced with a Pokémon that's clearly weak or injured, and it sometimes gets taken advantage of as a result. 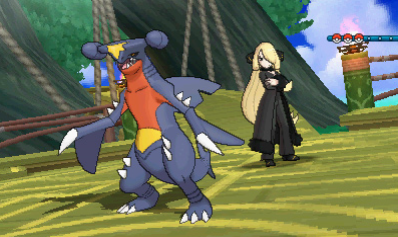 Darkest Lariat is a Dark-type physical move that only Incineroar can learn, and it allows Incineroar to deal damage while ignoring the effects of any stat changes that the target might otherwise be affected by. Primarina's songs have many variations, and each one changes the motions of the balloons. It has been observed that songs are shared among Primarina living together, so different colonies end up knowing different songs. Sparkling Aria is a Water-type special move that only Primarina can learn, and it heals the burns of any target it strikes. I've always wanted a move that can heal my opponent's burns. Tapu Lele's description has some sort of error in the last two paragraphs. This news was great but I would have preferred them to not reveal the post game so we could have a fresh experience. I think all the starters have cool final forms and typing. Each form gives the starter an immunity, albeit the grass flying starter already had one. I'm excited!!! Okay, before I decide, I have to know the starter Pokemon from each version. What will I get from Sun or Moon ? Everything in that trailer was so cool! Also I'm getting Litten, I like it's final evolution more than the others (but the other two don't look bad). This game is gonna be something special. I'll eventually collect all the starters, but I think I'll choose the little fire cat to begin the journey. Have they said if wonder trade is coming back, I assume it will be. The game looks great, can't wait! 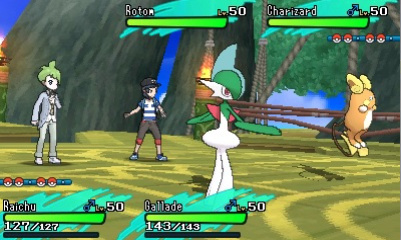 I think that Decidueye is by far the coolest out of the three, but I like all the designs. really excited about Decidueye's potential second ability, and stats! @uhhhhhhhh You spell it B-U-R-N.
Well, I guess gamefreak really went "all the way" with Popplio's evolution (and Litten's final evolution for that matter). I'm sure I'll end up getting a male unless they change the ratios, so I need a fabulous name... like Jareth, David Bowie's character in Labyrinth. @Gorlokk Name it after one of the crossdressed (well, for Saki I'm not sure if that's apt) idols of [email protected]? Or "Fish Eye" from Sailor Moon? Immediately I thought of Berserk's Griffith, but the theme doesn't fit at all. According to Toshinobu Matsumiya, R/B and R/S happened at the same time. So why does Wally look the same he did back then, but Red and Blue aged a good ten years? I really like all three starter's final forms. Grass/ghost is an especially interesting typing for a starter and the vine-whip bow and arrow thing is awesome. Primarina is utterly adorable. Incineroar is just plain charming, even though I was put off by it when I first saw it in the leaks. Though, I think the fan name(or was it a fake leak name?) "Beltigre" sounds better than the official name Incineroar. No matter, I'll name my buff fire cat Sriracha. I'm tempted to soft reset for a shiny starter this time around. I've never done that before, but I like the shinies of both the grass and fire starters. Decidueye is black with a green hood and Incineroar is white and red. @Seacliff It would appear poor Wally has been stricken with Ash's no-aging disease. He will be ten forever. I miss quadrupedal starter evolutions. Why does Incineroar need to stand on its hind legs? @thesilverbrick at least he has legs. Water starter just has a tail. Would you want Primarina to have legs? Colour me torn between the choice of Litten and the prospect of Primarina. Why Eggman? if you don't mind me asking. Nevertheless, I love the designs for them; their animations are full of personality. @Anti-Matter The same starter Pokémon. These designs look really awesome! This probably the first generation where I'm torn between all three starters. I'm probably going to pick Rowlet though, because Ghost/Grass is a cool type combo. I'm surprised more people aren't mentioning the Battle Tree. It seems like a really interesting idea. As for the Guardians and Cosmog, meh, they're alright. 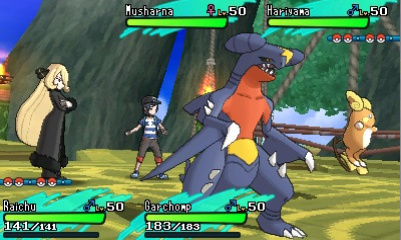 Overall these games look to be the biggest Pokemon games yet, and I can't even contain my hype. I wasn't sold on Popplio, but I loved Primarina's design! It is definitvely going to be my starter. Red's face is a bit.... weird. I get he's older and stuff, but his design doesn't convince me. They keep Blue almost the same, why couldn't they do the same with Red? I always go for with the water type starters and try to name them after something water related. I'll name Popplio "Cee" (sounds like Sea). decidueye is the best !! You had me at hello Red and Blue. @Maxz bwahahaha wow. Best autocorrect mistake I've made in a long time.